Now that the holiday season has arrived, you might decide to step up your charitable donations to boost your deductions for 2013. Here are six timely strategies. Audit-proof your claims. The IRS imposes strict substantiation rules for charitable donations. In fact, you’re required to keep records for all monetary contributions, no matter how small. The best approach is to obtain written documentation for every donation. Charge it. 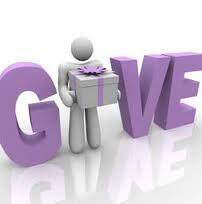 The deductible amount for 2013 includes charitable gifts charged by credit card before the end of the year. This covers online contributions using a credit card account. So you can claim a current deduction for donations made as late as December 31. Give away appreciated stock. Generally, you can deduct the fair market value (FMV) of capital gain property owned longer than one year. For instance, if you acquired stock ten years ago for $1,000 and it’s now worth $5,000, you can deduct the full $5,000. The appreciation in value isn’t taxed. Sell depreciated stock. Conversely, it usually doesn’t make sense to donate stock that has declined in value, because you won’t receive any tax benefit for the loss. Instead, you might sell the stock and donate the proceeds. This entitles you to a capital loss on your 2013 return plus the charitable deduction. Clean out the storage space. The tax law permits you to deduct charitable gifts of used clothing and household goods that are still in “good used condition or better.” Don’t be so quick to discard items that can be donated to charity. Donate a car. The deduction for a donated vehicle valued above $500 is generally limited to its resale amount. However, if the charity uses the vehicle for its tax-exempt purposes, you may be able to deduct its fair market value. Call us for more details on the tax rules governing charitable contributions. For assistance with this or other tax or accounting matters please contact us at 201-947-8081, or email us at info@bergencountycpa.com.